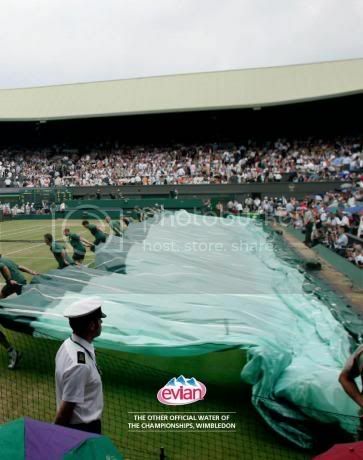 Kevin Mclean's art of conversation blog brings up a great question surrounding a recent outdoor Evian ad (seen to the right) supporting their 2009 Wimbledon sponsorship. Does "official" sponsorship equate to "authenticity?" The answer is no. You can most certainly be official, but not authentic (and conversely ambush marketers can appear more authentic than official sponsors themselves). Official status gives you a leg up, but you have to prove you "get" the property and properties should demand that your "official" status engages the audience, rather than serving as a certified stamp of approval. 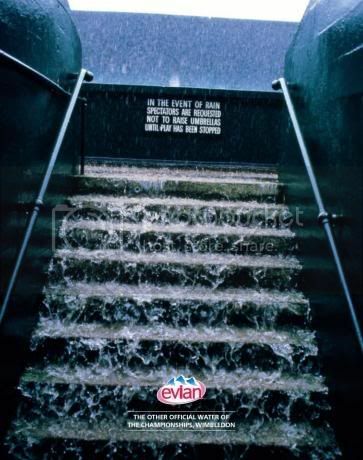 Evian has traditionally done a great job at activating their partnerships - and Wimbledon in particular. Kevin's post surprised us, not only because of the apparent inauthenticity of the photo (as he points out fashion sunglasses on a "model" tennis player), but also the absence of Evian's staple humor/irony, which is usually a big part of the brand's Wimbledon campaigns. "Models" are nothing new - as Darren Rovell proved recently with a look at a recent TJ Maxx ad, but when it comes to an official partner, should they be held to a higher standard? Perhaps this is a creative strategy for a different medium (print vs. outdoor) and the type and time of audience interaction each gets. See a couple of other Evian ads below. Do you see a difference? Nevertheless, this raises an interesting question. What's the biggest disconnect you've encountered between an official sponsor and an "inauthentic" activation campaign? Nice find and interesting topic, Kevin.